The #1 New York Times bestseller is available with a striking movie tie-in cover. 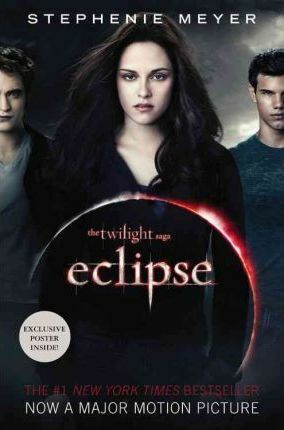 Readers captivated by Twilight and New Moon will eagerly devour the paperback edition Eclipse, the third book in Stephenie Meyer's riveting vampire love saga. As Seattle is ravaged by a string of mysterious killings and a malicious vampire continues her quest for revenge, Bella once again finds herself surrounded by danger. In the midst of it all, she is forced to choose between her love for Edward and her friendship with Jacob --- knowing that her decision has the potential to ignite the ageless struggle between vampire and werewolf. With her graduation quickly approaching, Bella has one more decision to make: life or death. But which is which?